OOC Note: Yeah I went to close to the 4k mark so that's why I remove the 'who's speaking' part. This is not a norm. But all people are color coded. Monday arrived in the Jensen Mansion as it’s occupants were going about the day. The owners of the house, Michael and Kristy, were currently not there. The two youngest ones were at the park with their nanny, which left only the Jensen staff and one Roller X inside the entire place. Roller X, was pacing in her room having just gotten off the phone with Jack Michaels, as he had informed her of where Maya was currently at. Roller X’s mood was more than foul as varying different emotions ran through her. Worry, Anger were just the tip of the ice berg. Roller X slammed her fist into the her bed’s mattress in her anger as Mizore filled her head. Perhaps it was partly because she was sore from losing her second match and with the exact same type of counter, perhaps it was just her wanting to blame someone, Anyone for what Maya did. Roller X could practically see Mizore standing in front of her as her harsh tones cut through the air. How she longed to go over and let all her frustrations out on Mizore. But it wouldn’t be happening. Roller X wasn’t mad at Mizore’s mom per say, but in her rant, just about anyone wasn’t safe. Roller X yelled out again in frustration as she turned around and slammed her hand back into the mattress of her bed. Yet, this seemed to only infuriate her all the more as her fist only hit the soft cushions of the mattress which caused her to fire another punch at the mattress. She struck the mattress again and again, almost determined to punch it enough times until it was nothing but a hard surface her hand was hitting. Eventually, her rage calmed enough as she realized the mattress just wasn’t going to die, at least from the onslaught of punches. She stood there a moment as her rage just continued to boil before she glanced over seeing the picture frame she had thrown against the wall after returning home and learning what Maya had done. Slowly, she walked over and picked it up. Looking past the shards of glass that was still attached to the frame and to the picture that still lay beneath. This was the same picture she had that depicted her, Maya and Mizore. Roller X just looked at Maya in the picture for what was the longest time. A tear slowly begin to roll down her face. But her brief reprieve from her anger didn’t last as her eyes drifted to Mizore in the photograph. Her eyes narrowed as her anger build right back up as she threw the frame across the room, this time it hit a lamp in the room causing it to shatter. Roller X just didn’t care as she stared daggers at where the frame had landed. She was like that for a while before there was a knock on the door followed by a concerned voice. Roller X recognized the voice as the newest house maid in the Jensen Manner. However, Roller X didn’t respond right away, but when she did her voice still had that tenge of anger. The door slowly opened as in walked the young red hair’d cleaning maid as she glanced over towards where the lamp was not lying in pieces on the carpeted floor. She looked like she was already carrying a broom and dust pan. Roller X turned her eyes to Annabelle. They weren’t as full of rage as they had been but the cleaning maid would easily be able to tell she was in a foul mood. Annabelle just nodded. She was trying to be as courteous as she could. She then looked over to the broke lamp, deciding the best way to clean it up. Roller X wasn’t usually this mean to the staff at the Jensen Mansion but her anger had yet to fully settle. Annabelle just bowed her head as she turned around to head out the room. She was just about to step out when she paused and turned back towards Roller X.
Roller X’s curiosity was slightly peaked at the news. Annabelle opened her mouth to reply but then froze before frowning slightly. Roller X rolled her eyes. How did she even get hired? But Roller X just didn’t seem to care as she began to walk towards the door herself. Annabelle nodded as she walked out of the room and went to go get the vacuum. Roller X, however, headed the other direction as she made her way down stairs and to the lounge. Her mind was slightly curious as to who it was, but mostly she just hoped it wasn’t one of the few people she did not want to see, then again she would love to sink her fists into one of them right now and that was on her mind as she walked into the lounge and glanced towards the black hair’d Asian sitting on one of the white decorative sofas. Chill, or Arctic Chill as she was also called, was one of Roller X’s Roller Derby teammates. On hearing of her name, Chill looked over to RX with a huge smile on her face right before standing up on what looked to be in-line roller skates. Roller X caught a helmet that was sitting on the sofa. Chill walks over, the carpeting allowing her to do so and her years of balance on skates keeping her from following over. Chill then proceeded to give Roller X a hug. It was a quick hug as Roller X didn’t really return the hug. When Chill stopped the hug, she took a slight step back. Roller X just looked at her as her anger was being subdued a bit by the almost surprise visit. Even if Roller X wished she could head out there today, she was practically stranded there until her parents returned as she didn’t have the money for a plane ticket and for a hotel room until she could get picked back up with her mother’s jet. Chill however, shook her head as if to say the question was silly. Roller X actually crosses her arms as more of her mood from earlier was beginning to return. Didn’t seem Chill was having any of that as she didn’t even let Roller X finish speaking. Roller X just short of stood there as Chill’s eyes showed both a smile and determination. But Roller X only shook her head. But Chill shakes her own head as her tone softens a bit. Roller X frowns at this. It didn’t seem to help her mood, but Chill held up her arms in her defense. Roller X raised an eyebrow. Chill began to look a little sheepish before giggling. Roller X half rolled her eyes slightly at Chill’s enthusiasm. Chill said as she quickly went over and grabbed her helmet then went back to Roller X and began to give her a playful push. Roller X wanted to resist, but a part of her knew that this would probably help. Sure it wasn’t the same as sinking her fist into something, but Chill was right. Roller X needed to get her mind off of it. At least, for now. Roller X replied as Chill continued to push Roller X back up stairs and to her room to get their gear. After a quick change, they both headed out as they made their way to the local Skate Park. It was a little later in the day as Roller X and Arctic Chill were at the Skate Park in Washington Park. They were both skating around, grinding the blades around the grind rails or just hitting up the various dips in the place, performing various number of tricks. As the two girls continued this, just having fun, another lady walks up towards the end of the first drop. This lady wasn’t dressed to do any skating, skate board, skates, or otherwise. But she was dressed in a brown business casual attire. Her brown hair was very nice as it hung down to her shoulder blades. 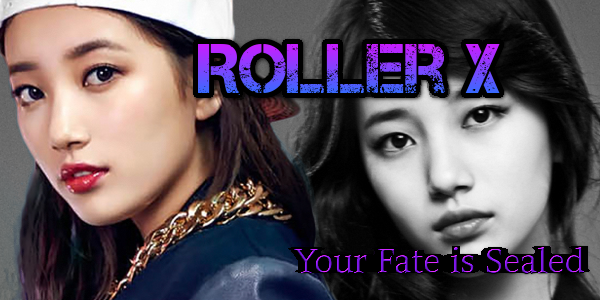 For the moment she just stood at the edge of the park, her eyes watching Roller X. It took awhile before Roller X finally notice the lady as both recognition and anger shot over her as she stopped her trick and skated over towards the lady. She practically shouted at her once she got within speaking range. Hellen, or Hellen Martin didn’t seem to taken aback. She was a reporter and a friend of the Jensen Family. While her and Roller X were on good terms for the most part, that didn’t stop Roller X from remembering the last time her sister was having trouble, and Hellen was there only to make it worse. Hellen seemed calm but Roller X didn’t seem to really be calming herself. Just then, Chill came over looking between them before smiling at Hellen. It was a friendly greeting. Chill was about to say something when Roller X interrupted. Roller X didn’t reply as she just stared daggers into Hellen, still waiting for her response. Hellen just shrugged her shoulders not really intimidated. She’d seen worse in her line of work. Sweet Digits was the name of Hellen’s news blog. At one point she had been working for various other news papers but after an incident she was black listed from all major newspapers. While at first she was hired by Kristy to work for EWE as a part time interviewer as well as work on some EWE Exclusives but EWE was gone and so Hellen started up her own News Blog in order to continue to do her passion. Roller X stood there a moment. It probably was better to speak out her thoughts than to just type them down. But Roller X had to confirm something else first. Roller X looked over to Chill who gave her a nod. She thought it was a good idea. So Roller X finally gave Hellen a nod. She said before skating over to a near-by bench. The Hellen and Roller X sat down while Chill took a seat as well, sitting next to Roller X but enough distance so Roller X wouldn’t feel crowded, not a good thing for someone who was about to vent. Hellen, took out her phone and set up her tape recorder app. Afterwords she pulled out a pen and notepad before hitting record. Roller X just gave a slight nod not really wanting to give a friendly greeting. Hellen made a note of it before she continued on. Roller X’s mood was already turning south. First at the mention of Mizore, then the mention of Ceno and Eli, both of which caused her anger to resurface. Roller X was still fuming as she stopped momentarily to give Hellen a chance to interject. Roller X rolls her eyes at that. Hellen actually scooted back a little bit in her seat before responding. She wasn’t stupid and she would prefer not to be in the cross hair if Roller X got mad. Roller X however just looked at her trying to figure out what she said. Finally, Hellen broke the silence. Roller X’s rage was boiling to a whole new level as she heard this. Hellen prepared herself just incase she needed to move. Roller X was beside herself with anger as this new news came about. Finally, it came busting out as Roller X slammed her fist down on the bench they were sitting on. The stinking filled her hand but she didn’t care as she raged on. Roller X’s eyes steamed with tears as her rage shifted to something else. Suddenly she just stood up not even looking at either Hellen or Chill. With that Roller X left, not back to skating but out of the area leaving Chill and Hellen to watch her go. The time was 6pm in Albany, New York and Michael and Kristy Jensen had just returned to their mansion. They had just got back from taking care of a few things with Maya. As they passed the entrance to the lounge a single individual was there, wearing casual enough clothes as her arms were crossed as she leaned on the archway to the lounge area. The individual was of course Roller X and she wasn’t to happy, but it was a pretty up and down for her over the past week as it went from anger to sorrow with only a few passing moments where she was able to take her mind off the situation, but it was never really gone from her mind. Michael and Kristy paused as they looked over to her. Michael elected to respond to Roller X, his voice remained calm but with a trace of understanding in it. Roller X’s rage increased an octave Michael only held up his hands in defense trying to calm her down. That wasn’t enough for Roller X as her hands tightened on her arms. She knew that Maya had been moved to a new facility, one that Michael owned himself, not that Roller X cared about that little detail. Not that Roller X didn’t believe her sister was doing well, but she wanted to see her. Though she’d rather see her in person right now she would even be satisfied just to see her through the surveillance cameras. This time, though, it was Kristy who replied. Roller X’s eyes flashed to her mother with even more anger. Roller X’s rage bubbled over a bit as her fist came down from her crossed arms and slammed into the archway to the lounge. She fumes a moment before her mother speaks up again. Roller X’s looks up and straight at her mom her eyes narrowing as her rage shifts towards her. Now it was Kristy’s turn to narrow her eyes as she took a step towards her daughter. Roller X didn’t back down as she stood up getting into her own mother’s face. Kristy’s eyes narrowed even more at her daughter. The tension getting pretty heated. Seemed Kristy was on the verge of arguing back when she stopped herself actually stepping away from her as she replied. Roller X rolled her eyes something fierce as she continued to stare at her mother who was about to start walking away. Kristy was now furious as she rounded around about to go off when it was Michael who stepped in. Roller X’s stopped her intense glare at her mother as she crossed her arms and leaned back on the wall behind her, her eyes drifting away. Roller X just sighed to herself. She wanted to be mad at her mother, she wanted to be mad at anyone, but her step-dad was right. This is not what Maya would want nor would it help her situation. Roller X finally glances up and looks over to her mother. Kristy nods her head in accepting the apology. Which was enough for Michael as he also nodded his own head. Roller X gave a slight nod. Both Michael and Kristy began to make their ways to the dining room. Roller X waited but a moment before she followed after. The sky was dark as heavy rain clouds rolled into the area. Slowly, a trickle of rain began to fall, soon coating the entire area beneath with it’s downpour. The view looks down as it captures the surrounding area, which was a park situated in the New York area. The camera shifted from the different play ground equipment, all being covered by the rain that fell from the sky. No one was around, no kids playing on the soaked jungle gym or various slides. All was vacant in this area… all except one who was sitting on one of the swings over looking a rather large playground structure. This individual was Roller X as she slightly swayed back and forth on the swing, just looking out over the rain covered area around her. Her dark hair and black clothes were soaked from the rain but she didn’t pay it no mind. She was silent for a moment before finally she began to speak. A small sigh escapes Roller X’s lips as she finally looks up and into the camera the sorrow in her voice slowly starting to shift ever so slightly. Roller X actually smiled slightly but it was a somber smile as what could have been a tear flowing down her cheek. Roller X’s rage seemed to spike a little but it still kept a more somber note as she continued to just sit there in the pouring rain. Roller X’s anger again begins to boil up but suddenly drops once more. Roller X lowers her head as the thoughts enter her mind. Way to many emotions clashing with each other. Roller X’s mood was starting to shift to a more passionate one as she straightens up and looks into the camera. Roller X pauses a moment letting herself calm down a little bit. Roller X actually smiles a bit with that. Roller X smirks a bit almost feeling a little bit of her old self, that is until the next person on her mind comes up and how quickly her tone changed to rage. Roller X’s rage was boiling over as she had jumped up out of the swing she was in. It even took her a moment to settled a bit but finally she spoke up again. Roller X looked at the camera fiercely as it began to zoom out from her. Finally, she sat back down on the swing and slowly began to sway as she looked out at the empty place, filled with the rain water as the same filled up inside of her. The camera continues to zoom out before it fades to black.